After upgraded to Microsoft Windows 8.1 Pro, my Samsung Series 9 got error missing hccutils.dll and igfxtray.exe and then the VGA driver software rollback to Windows basic driver. I tried to find Intel HD Graphics 4000 driver for Samsung Series 9 and there is no new driver in Samsung that already support Windows 8.1. So I downloaded the latest driver for Windows 8.1 from Intel Download Center and extract the ZIP version because the EXE version won’t install the driver to my Samsung Series 9. The EXE version always ask me to download from manufacturer website (Samsung) and there is no new version of driver in Samsung website like I wrote before. 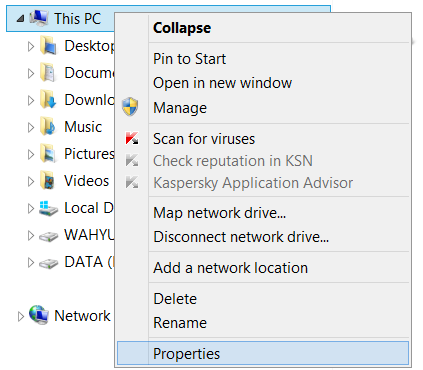 From This PC in Windows Explorer, right click and select Properties. 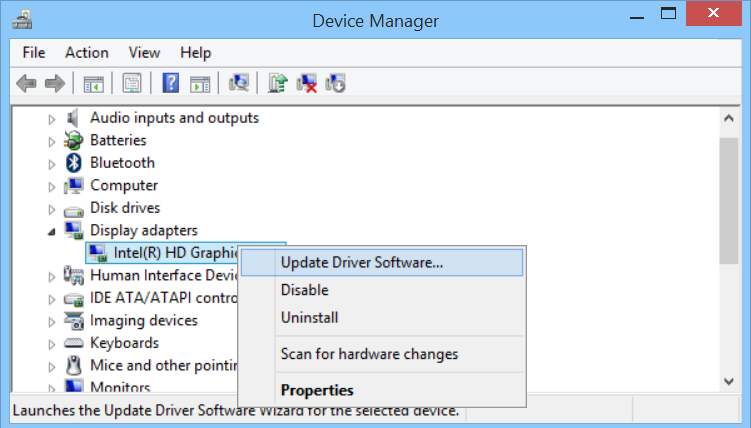 Select Display Adapters: Intel ® HD Graphics 4000 then right click and select Update Driver Software. 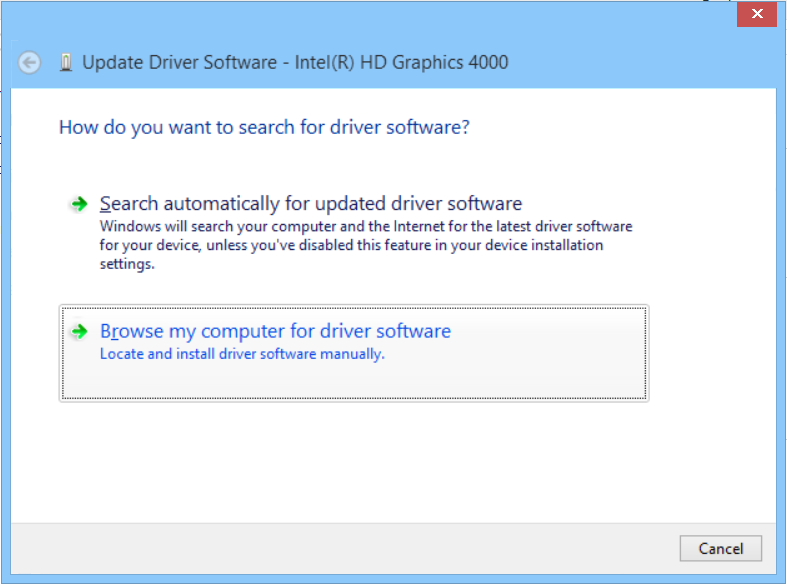 Select Browse my computer for driver software and select folder where the extracted version of Intel HD Graphics 4000 located. Then the new version of driver successfully installed and the error gone.